This is the final wine of five that I've reviewed for Llano Estacado out of TEXAS! Yes, TEXAS! I started with the 2016 Pinot Grigio, then 2015 Viognier, 2015 Signature Red, now 2015 Cellar Reserve Chardonnay and finally 2014 THP Montepulciano. Spanish monks made Texas and New Mexico the first of the would-be-states in today's USA to grow vineyards and make their own wine in the 1620's. Llano Estacado was established in Western Texas in 1976, and has become the best selling premium winery in the state. Their current winemaker Greg Bruni took over that position in 993. 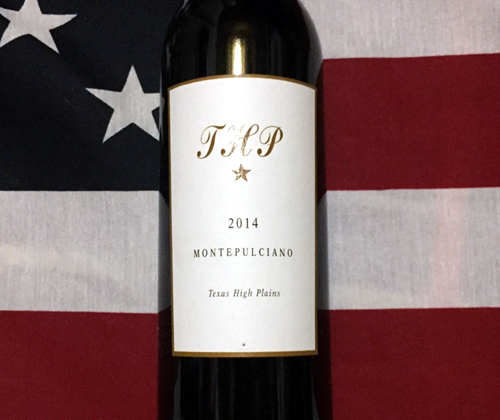 The 2014 THP Montepulciano is 76% Montepulciano, 12% Aglianico, 5% Merlot, 4% Cabernet Sauvignon, and 3% Syrah. So this Texas wine takes two varietals whose vines normally don't venture far from their homes in southern Italy, and blends them with three French international varietals. THP stands for Texas High Plains, and that's where the vineyards are located. The wine spends 18 months in 59 gallon French and American oak barrels. BOOM! 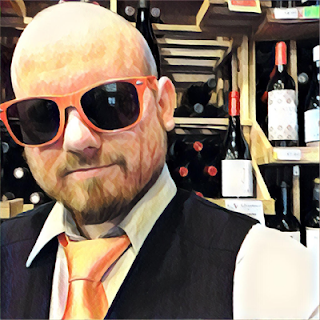 I love it when I do a bunch of reviews in a row that are themed or from the same winery and the best happens to be the last! It just feels so right! And how cool is it that this is a Montepulciano from Texas? And that there's Aglianico in there too? Super cool, that's how cool. The color of the wine is a dark garnet. There's aromas of dried cherries, jammy plums, sweet tobacco, dried pottery clay and orange peel. It's medium bodied with sweet tannin and perky acidity. The palate shows flavors of blackberries, black cherries, tobacco and dried herbs. The tannin stiffens up a bit on the finish, and there's the leftover taste of blackberries and tobacco. I know because it's a Montepulciano you're going to want to pair it with red sauce dishes, but in all honesty I want to go All-American and have this with a bacon cheeseburger. Thank you, Llano Estacado, for allowing me to experience wines from Texas!